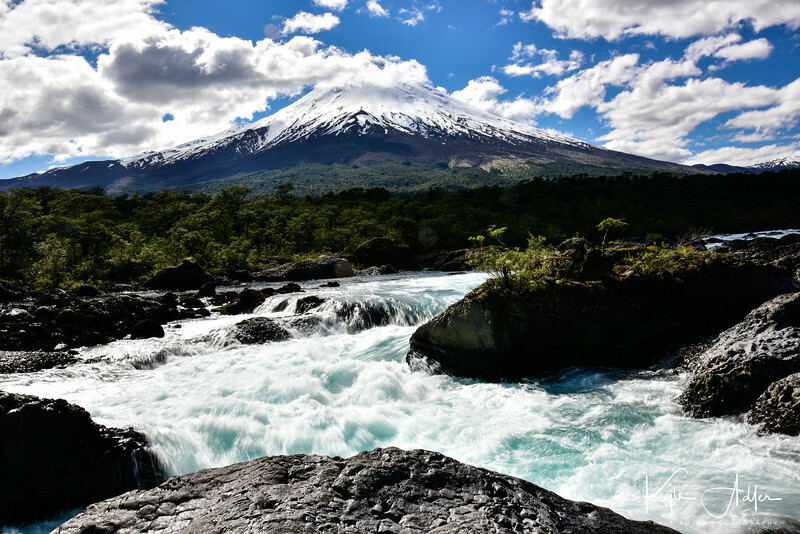 Our wonderful 3.5-week adventure took us from Santiago, where we visited our older daughter, to fabled Easter Island, sophisticated Buenos Aires, the mystical island of Chiloe, and then through much of Southern Patagonia. For much of this itinerary we were traveling with a local leader and a small group of fellow travelers on a trip operated by Overseas Adventure Travel (OAT). The knowledge of our local trip leader coupled with the small group size allowed us to travel to largely untouristed areas and to engage in authentic cultural interactions that would not have been easy to set up on our own and would have been impractical to include on larger group trips. Such a format offers amazing opportunities for photographers, as it provides access to an array of experiences beyond the “postcard-type” shots. 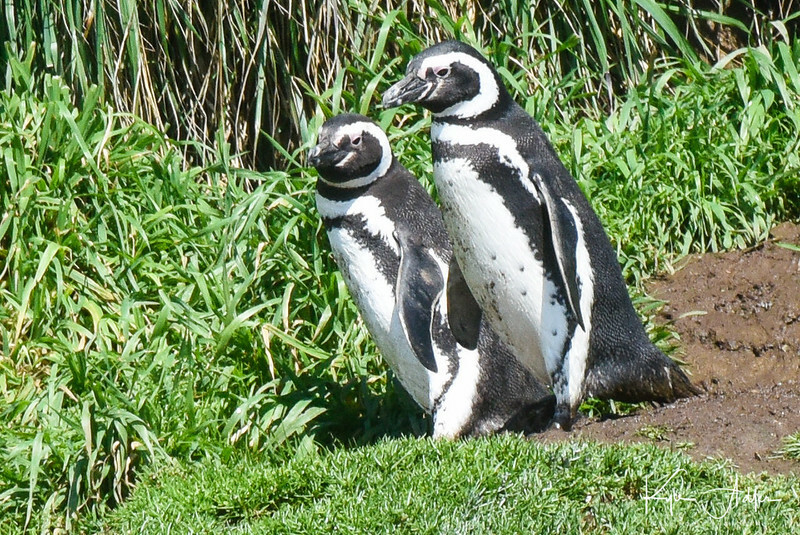 From home-hosted meals to wildlife encounters to hiking across glaciers and on the slopes of a volcano, this trip packed a lot of memorable moments–and images–into just a few weeks’ time. Easter Island is a small and extremely remote island, accessible via daily flights from Santiago. 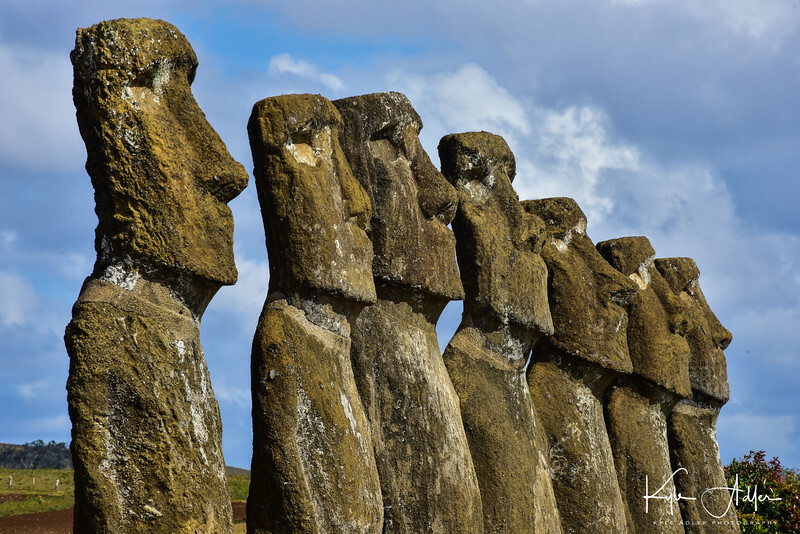 It is, of course, famed for the monolithic human figures carved by the Rapa Nui people centuries ago, called moai, that are scattered across the island. But there is a lot more to Easter Island than the moai, including a distinctive Polynesian culture and a wealth of natural beauty. 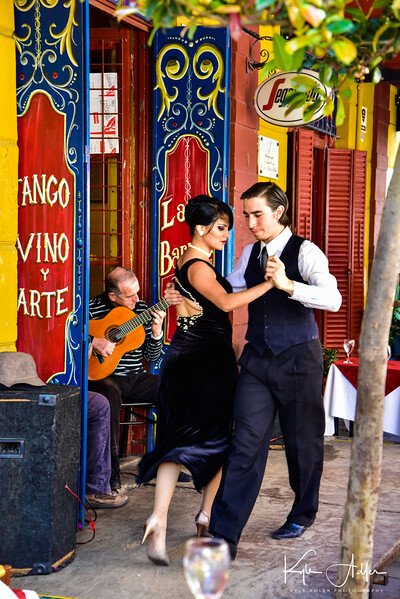 From Easter Island we traveled to Argentina’s capital city of Buenos Aires. This city has a high-energy feel, offers a huge array of food specialties, and is graced with stately European style avenues and architecture. A stay in the Alpine style village of San Carlos de Bariloche included fascinating interactions with Hans, who as a German boy growing up in Bariloche uncovered his father’s Nazi past and wrote several scholarly books about Nazis living in Argentina; and with Christina, a Mapuche Indian grandmother, civil rights activist, and jewelry maker. 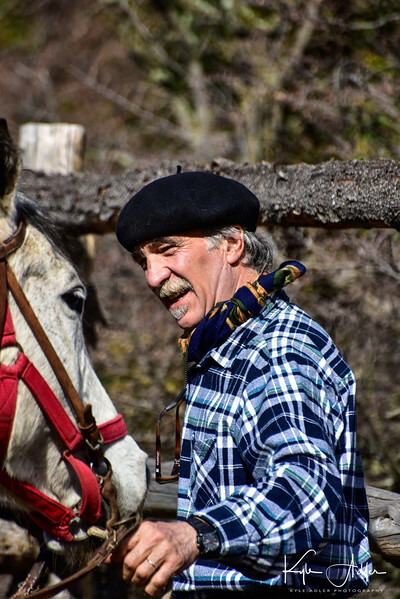 We then crossed overland toward the border with Chile, stopping en route for a home-hosted lunch of grilled lamb and for some horseback ridingon a family estancia (ranch). A ferry crossing from mainland Chile brought us to the island of Chiloe for an overnight stay. 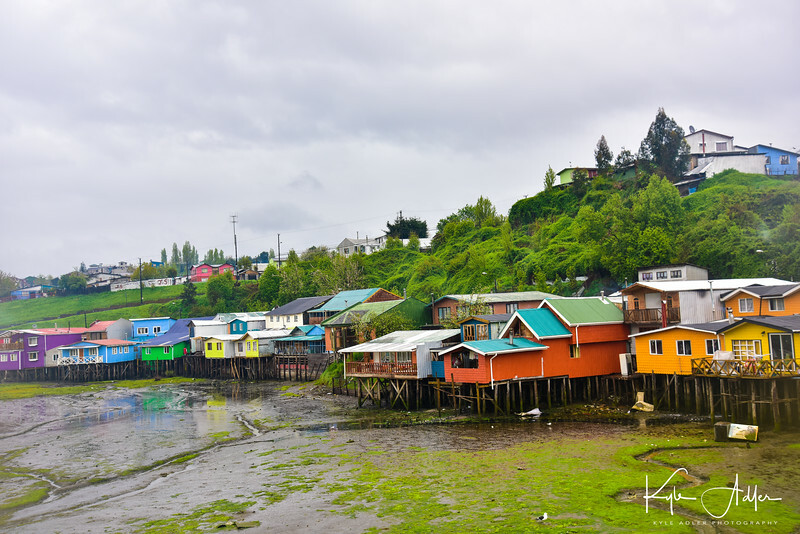 Chiloe exudes a strong sense of its mystical past and is characterized by colorful houses rising on stilts out of the water. 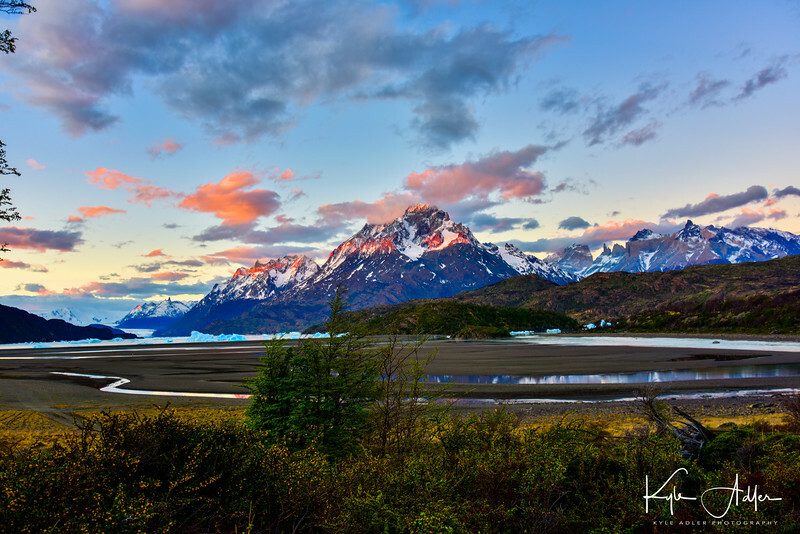 After traveling south all the way to the Strait of Magellan (the farthest south I have ever stood, with Antarctica the only land mass below it), we continued northwest until we reached Torres del Paine National Park, any photographer’s dream destination. 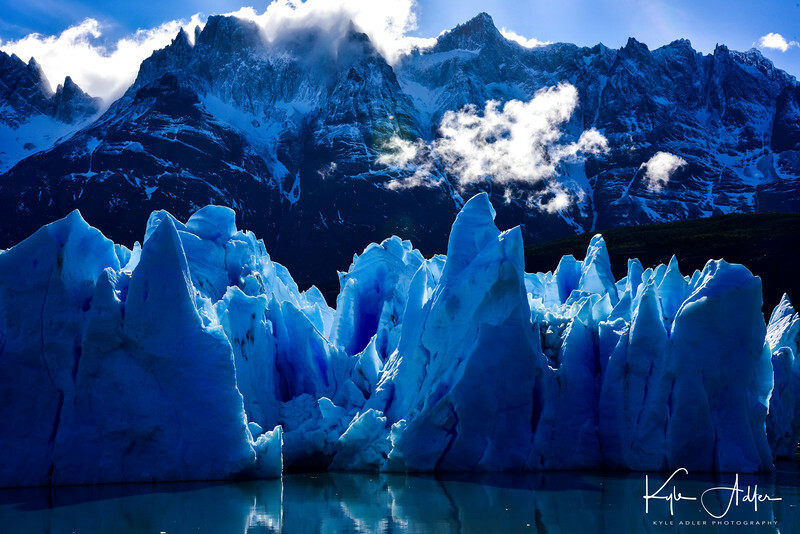 The photographic possibilities here are endless, with rugged mountains meeting brilliant blue glaciers and clear lakes. We had the opportunity to view this breathtaking beauty from various hikes and by boat. 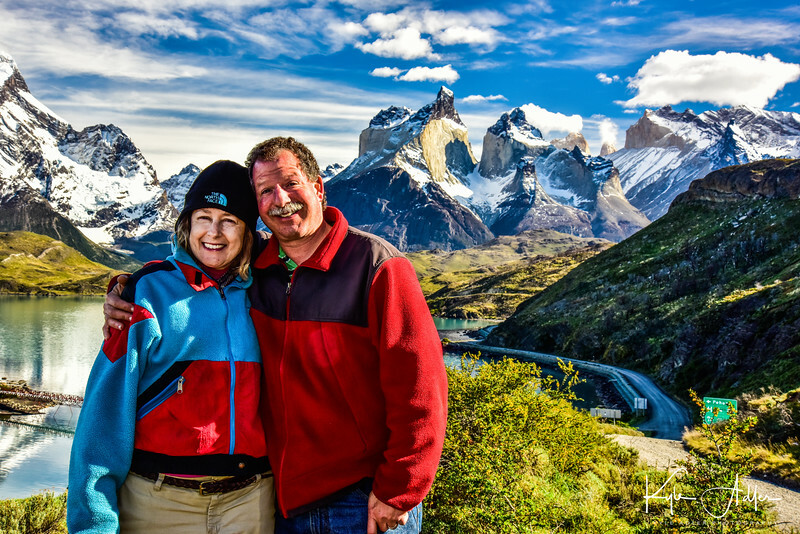 Heading out of Torres del Paine through the heart of Patagonia, our adventure was not yet over. We still had another national park (Los Glacieres) to visit on the Argentinian side before returning to Buenos Aires for our farewell dinner and our flights back home. Have you visited Patagonia, the capital cities of Argentina and Chile, Easter Island, or Chiloe Island? What did you find most memorable? Please add your suggestions for places to visit or subjects to shoot. Just enter your thoughts in the comment box. 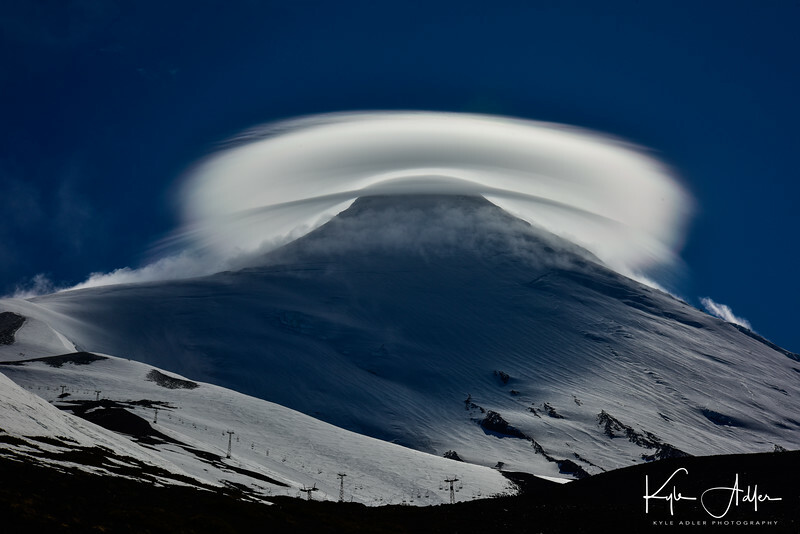 Want to read more posts about travel photography destinations? Find them all here: Posts on Destinations.